The Process in which organisms are placed into different groups on the basis of similarity and dissimilarity in characteristics is known as classification. Here are going to discuss the contribution of different /several scientists towards classification. The first time, plants and animals were given the status of kingdom by the scientist named Carolus Linnaeus. So, let’s start with biological classification. At the start of civilization, attempts were made to classify the organisms but the criteria for classification was not scientific. For the first time, Scientific attempts for classification were performed by scientist named Aristotle. He was an ancient Greek philosopher and scientist born in the city of Stagira, Chalkidice, on the northern periphery of Classical Greece. 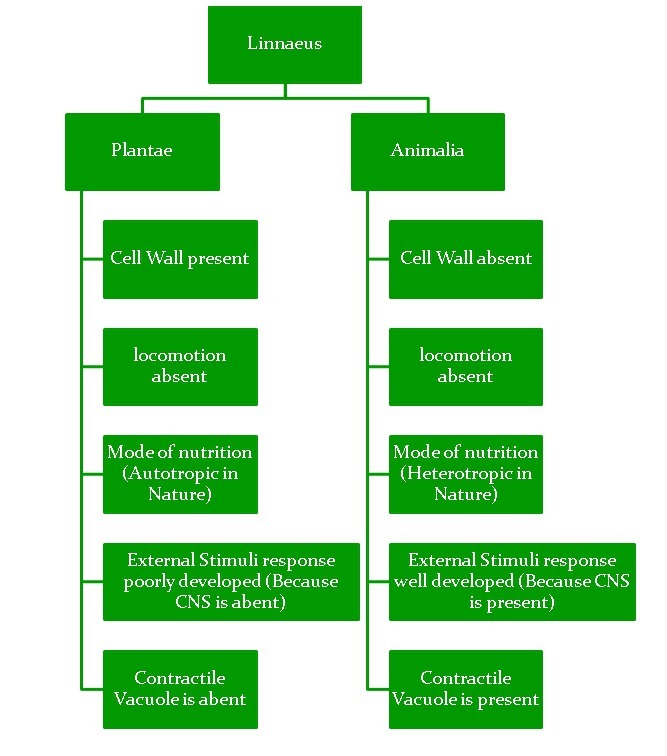 Aristotle divided organisms (living body) into two types on the basis of Food Making. He further divided Plants and Animals on the basis of morphological characteristics, habit. 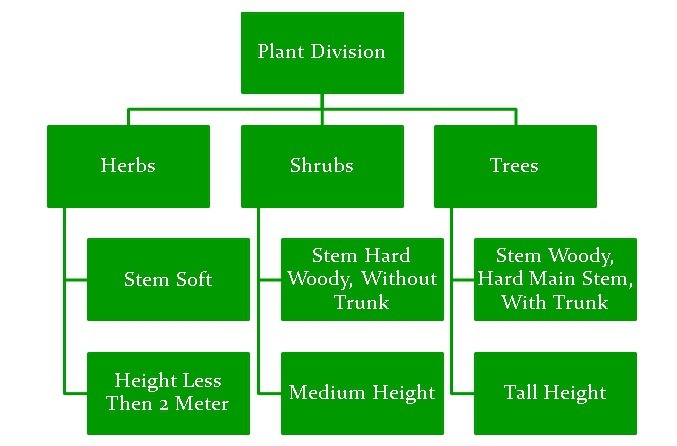 Plants division on the basis of morphological character. 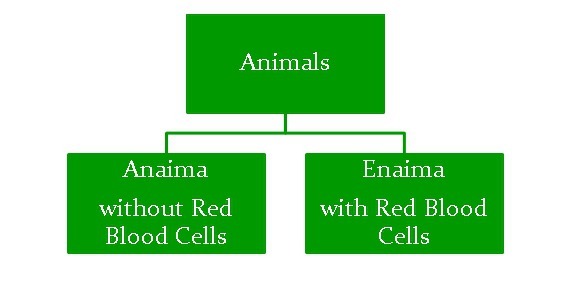 Animals division criteria on the basis of Red Blood Cells (RBC). The animals were divided on the presence of RBC Red Blood Cells. time, plants and animals were given the status of kingdom by the scientist named Carolus Linnaeus. He gave the Two-kingdom classification. These are above mentioned criteria’s, which were used by Linnaeus for determining Two Kingdom Classification. 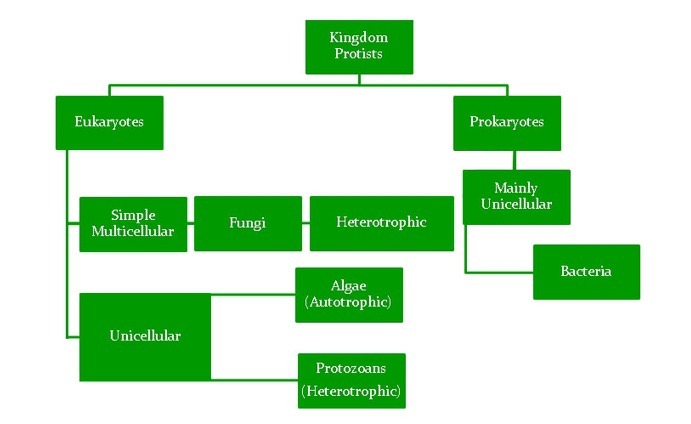 Now we will see, which groups of organisms have placed under kingdom Plantae and kingdom Animalia. There was no difference between prokaryotes and Eukaryotes. Some bacteria are heterotrophic. There was no difference between Heterotrophic and Autotrophic. Linnaeus didn’t differentiate between Unicellular and Multicellular. The main drawback of Linnaeus system was that he didn’t separated dual nature organisms. 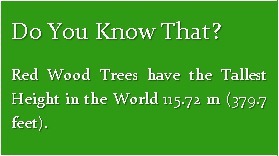 Those organisms which show both plant and animal life. 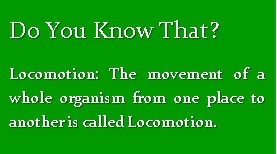 Along with these drawbacks following are the organisms which show both types of features of Plant as well as animals. 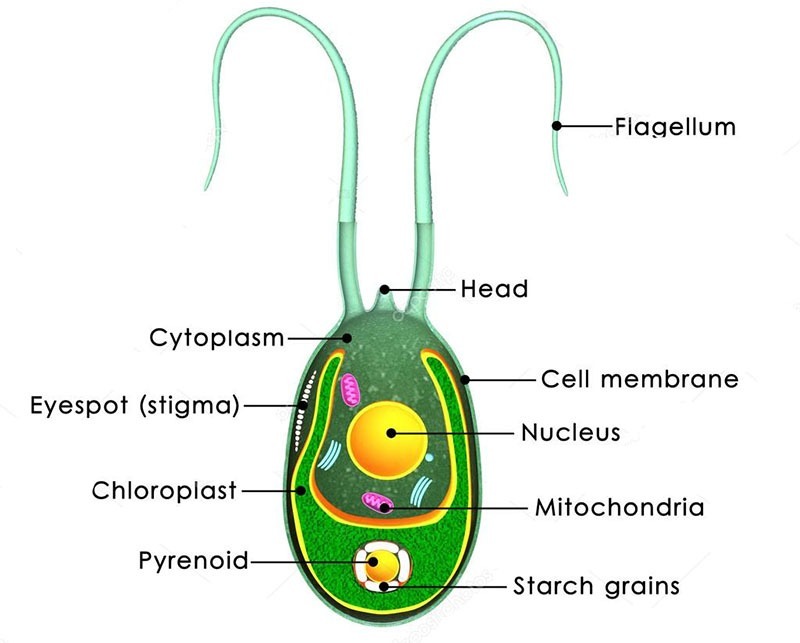 Chlamydomonas shows both plant and animal characteristics. 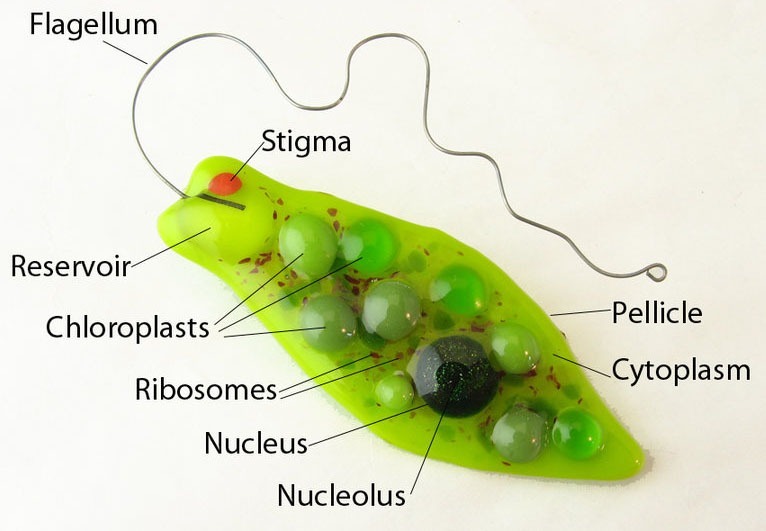 Euglena also shows both plant and animal characteristics that’s why it is called as dual nature organism. Looking back on drawbacks of two classification system and in order to overcome these drawbacks. A three-kingdom classification was introduced by a scientist named Ernst Haeckel (He was a German biologist, naturalist, philosopher, physician, professor, marine biologist, and artist who discovered, described and named thousands of new species, mapped a genealogical tree relating all life forms, and coined many terms in biology, including anthropogeny, ecology, phylum, phylogeny, stem cell, and Protista). 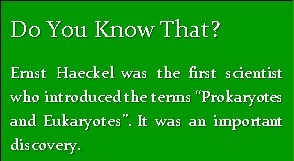 Kingdom Protista is described further by Ernst Haeckel. 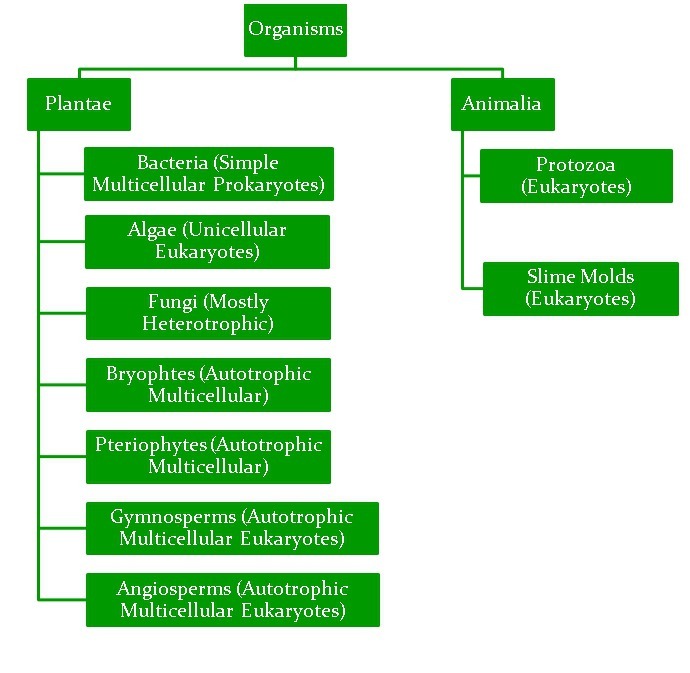 There was no difference between prokaryotic and Eukaryotic organisms placed together. Haeckel didn’t differentiate between Unicellular and Multicellular. In kingdom Protista, the Multicellular Eukaryotes were without tissue level organization. There was no difference between Autotrophic and Heterotrophic organisms.